This is one of many nice places in the Soča valley. You can park near the Cachelocation - so come, take a rest and enjoy the beautiful place. The Cache is a Micro NG, which is hidden waterprotected near a narrow gorge. Please watch your steps on top of the gorge!!! Please bring your own pencil! Bitte keine Tauschgegenstände in den Cache, keine Sticker und keine Stempel verwenden!!! No trade, no stickers and no stamps please! 1. 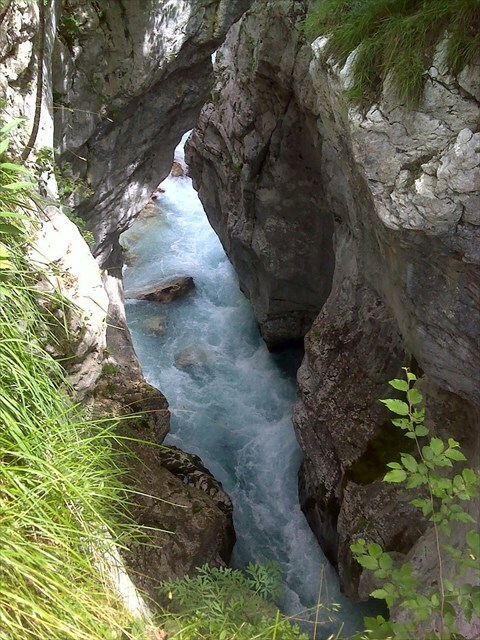 Cache should point to one of the natural wonders, cultural or historical monuments anywhere in the Soca valley. 2. Access to the cache should be easy, preferably not far from possible parking spot; At least, it should take less than 1 hour to get from car to cache and back. 3. Cache should not be too difficult to find. 4. These guidelines should also be a part of the new cache description.